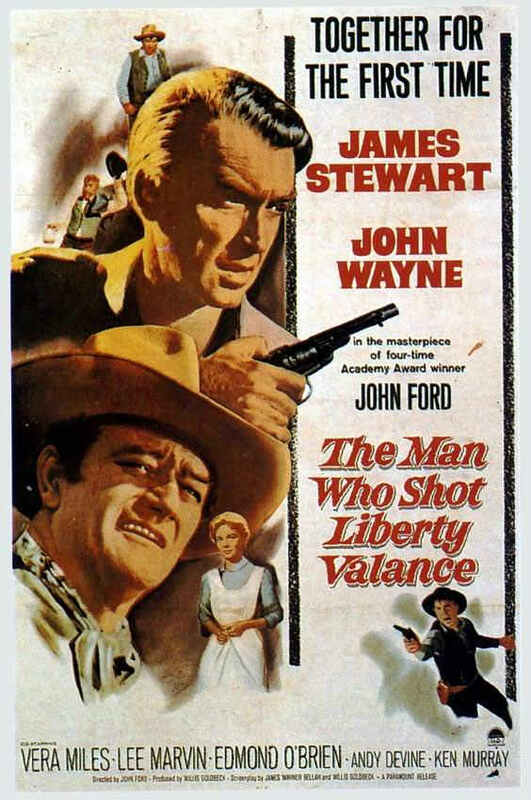 James Stewart roughed up his all-American nice guy image in five westerns he made with director Anthony Mann, the best of the seven films they made together in the 1950s, most of them for Universal Studios. The Man From Laramie (1955), their final collaboration, was made for Columbia and it was the first film that Mann shot in the still novel CinemaScope anamorphic widescreen format, which debuted just a couple of years earlier. It was a natural for Mann’s kind of western filmmaking, where the landscape and environment is a defining part of the drama and an integral element of the film’s tone and sensibility. For The Man From Laramie, Mann shot in the high plains and the ribbons of ridges of New Mexico, stretched far across the widescreen canvas. It’s lovely but forbidding, a mix of inviting green and forbidding desert and rock, and it is far from any other settlement, right in the heart of Indian country. Into this beautiful but isolated land rides Will Lockhart (Stewart) and the wagon train of his freight company. He also has personal business in the territory and it has something to do with the charred remains of a wagon train they pass along the way. Stewart eases up on the neurotic edge he brought to earlier Mann films Winchester 73 and The Naked Spur and is even quite charming when he first arrives in town and meets Barbara (Cathy Downs) with his wagonloads of freight. When she offers him tea, he smiles at the thought of so civilized a break from the trail and watches her bustle about with an appreciation for the feminine presence in his life, no matter how fleeting. But he’s a hard, driven man as the dark expression that passes over his face at the massacre graveyard communicates. The Man From Laramie (Twilight Time, Blu-ray), Anthony Mann’s seventh and final collaboration with James Stewart and his first widescreen film, is a frontier “King Lear” by way of Mann’s favorite themes of splintered families and filial betrayal. Stewart plays his usual brooding loner, a former army scout searching for the man responsible for his brother’s death. He rides into a town run by a cattle baron (Donald Crisp) with an irresponsible son (Alex Nicol) who despises him and a dutiful foreman (Arthur Kennedy) who desperately craves his father-figure’s affection and respect. The complicated web of love, hate, and betrayal sprawls over the entire town and Stewart, less psychologically haunted than in previous Mann collaborations, becomes a catalyst that pitches the conflict into violence, usually directed at him. While the Apaches are the ostensible threat, Mann’s brutal violence reaches a new level of cruel glee in Nicol’s sadistic psychopath of a delinquent with a six shooter. At his direction, Stewart is dragged through a burning campfire, shot point-blank in the hand, beaten, ambushed, and generally made unwelcome. Kennedy provides the psychotic edge as the spurned son with a black secret. As usual Mann’s landscapes are magnificent in a country where beauty and danger lie in the same handsome wilderness. Also stars Cathy Downs as a Kennedy’s long-suffering fiancée, googly-eyed Jack Elam as shady informant, and Wallace Ford as a tracker who becomes Stewart’s ally. Twilight Time offers a lovely widescreen transfer and offers the usual trademark extras: an isolated musical score and effects track and an eight-page booklet with an essay by Julie Kirgo. Limited to 3000 copies, available exclusively from Screen Archives and TCM. The Train (Twilight Time, Blu-ray) makes a timely arrival for anyone who was disappointed with Monuments Men. This too is a true story of the Nazi looting of Europe’s art treasures during their retreat and the efforts to stop them, but this is a tough, muscular war thriller that pits the stakes against one another: just what price are you willing to pay to protect your artistic legacy? 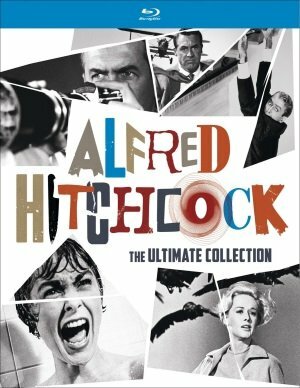 Burt Lancaster is the proletariat resistance leader who bristles under orders to stop the art from being taken out of France – he’s more focused on killing Germans and saving civilians – and Paul Scofield is his nemesis, the aristocratic Nazi officer who oversees the mass looting of France’s greatest paintings. John Frankenheimer (who replaced the film’s original helmer, Arthur Penn, at Lancaster’s request) directs with a muscular style that puts the themes into action and the crisp black and white photography captures the busy industrial detail of the train yard and the gritty war-torn atmosphere of France in the final days of the German occupation. The great Michel Simon is the burly engineer who sabotages the initial run and Suzanne Flon and Jeanne Moreau co-star. This Twilight Time release features the original commentary recorded by Frankenheimer for the laserdisc release almost 20 years ago plus a new commentary track with Twilight Time founder and historian Nick Redman and film historians Julie Kirgo and Paul Seydor, as well as the usual isolated score track and eight-page booklet. 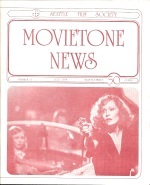 Limited to 3000 copies, available exclusively from Screen Archives and TCM.